Ceremonies are now held not in Transcarpathian Region but in Hungary. Budapest has not stopped issuing passports to Ukrainian nationals of Hungarian origin after the scandal with the consulate in Berehove. However, ceremonies are now held not in Ukraine's Transcarpathian Region but in Hungary. A delegation from Hungary discussed this at a meeting with representatives of Hungarian organizations of Ukraine in Transcarpathian Region, Igor Solovey says in an article "New dimensions of the Ukrainian-Hungarian conflict". "Budapest has temporarily suspended citizenship ceremonies in Transcarpathian Region. From now on they will be held at local self-government offices in Hungary's Szabolcs-Szatmár-Bereg County bordering on Ukraine," the article says. 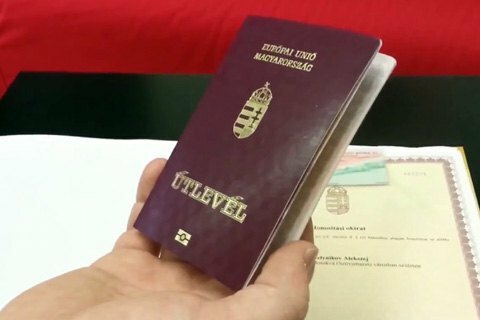 Budapest is also investigating the leak of a scandalous video from the consulate in Berehove, showing Transcarpathian residents being issued Hungarian passports and asked to keep it secret. Hungarian special services are running thorough checks on those who apply for fast-tracked citizenship. The Hungarian Culture Society in Transcarpathian Region and the Democratic Union of Ukrainian Hungarians said that because of extended checks of Ukrainian Hungarians for dual citizenship at the border, they and the consulates reopened legal aid centres. A similar centre used to work in 2015 when its lawyers helped Transcarpathian Hungarians to dodge mobilization to the Ukrainian army. The Hungarian delegation in question, which visited Transcarpathian Region, included Secretary of State for National Policy Arpad Janos Potapi, the head of the Transcarpathian department at the State Secretariat of Hungary, Katalin Ljubka, the head of the office of state secretary Z. Kadar, as well as Hungary's general consuls in Uzhhorod - Jozsef Buhajla - and in Berehove - Matias Siladi. Hungary renames post of "minister for Transcarpathian affairs"
French gendarmerie arrest Ukrainian "king of the castle"